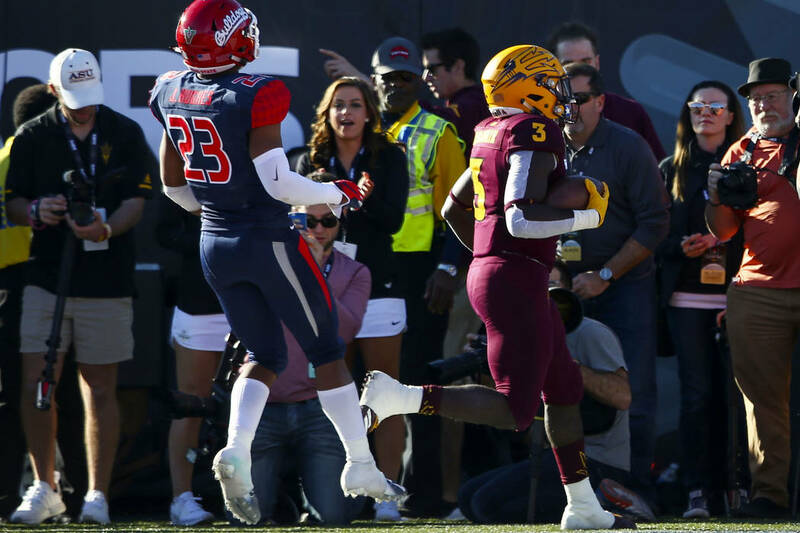 Arizona State running back Eno Benjamin set the school’s single-season rushing record with 118 yards in a 31-20 loss to Fresno State on Saturday in the Las Vegas Bowl at Sam Boyd Stadium. 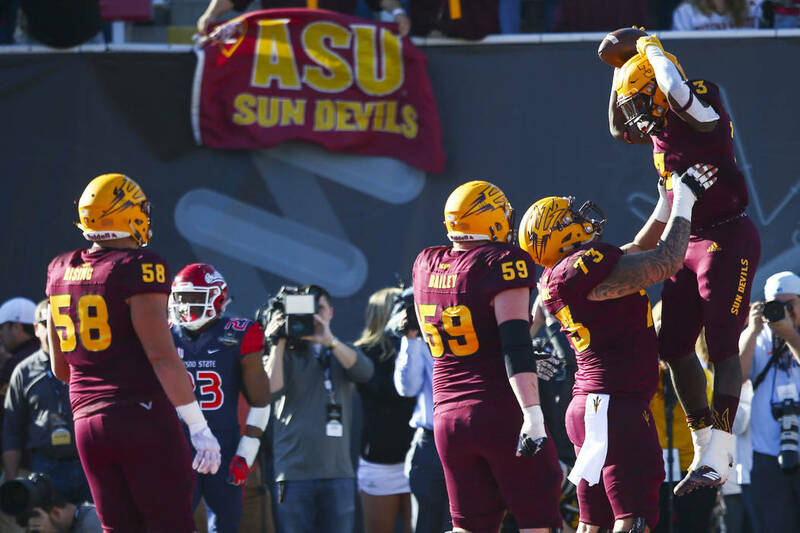 Eno Benjamin capped his sophomore year by breaking the Arizona State single-season rushing record. But he was in no mood to talk about it. “That doesn’t even matter right now,” he said Saturday after the Sun Devils’ 31-20 loss to Fresno State in the Las Vegas Bowl at Sam Boyd Stadium. Benjamin had 118 yards rushing and a touchdown to finish the season with 1,642 yards. He broke Woody Green’s school record of 1,565 yards set in 1972 on a 13-yard run early in the second quarter and scored on a 17-yard carry on the next play. ALL ABOUT THE BENJAMINS! @eno_benjamin5 gets the last 30 yards of the drive, scores a touchdown and he is your NEW SCHOOL RECORD HOLDER. The Earl Campbell-Tyler Rose Award Finalist added 16 yards on two catches, but struggled with the rest of the offense as the Bulldogs pulled away in the second half. Benjamin managed only 26 yards on nine carries after halftime when Fresno State put the clamps on the Sun Devils’ offense. Edwards knows what he has in the 5-foot-10-inch, 200-pound spark plug. Benjamin said he wanted to do more to help his team win its final game. Instead, his record-breaking run came during the most lopsided loss of the season for the Sun Devils. It certainly wasn’t his fault. Moments after leaving the field, Benjamin still was unsure when he would start appreciating those accolades. “I have a long time to think about that. Right now, I’m just disappointed,” he said. Benjamin will start to see the fruits of his success when the Campbell award ceremony takes place Jan. 9 in Tyler, Texas, about 90 minutes from his hometown of Wylie. He just didn’t enjoy how it ended.